Unleash some destruction with this versatile fuzz. 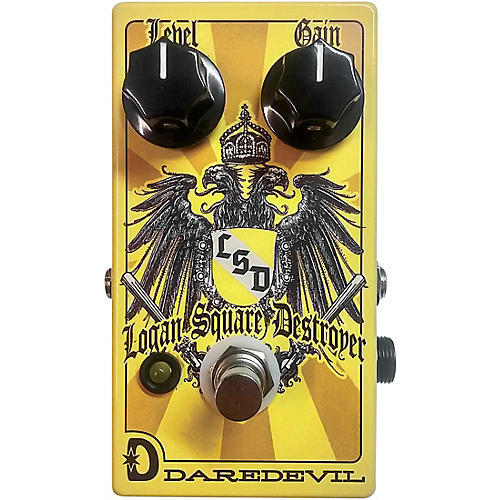 The Daredevil Pedals Logan Square Destroyer is a perfect blend of raw '60s-type fuzz and heavy modern doom. This is a very versatile pedal; the gain and level knobs interact to allow many different tonal options. Rolling back the gain opens up the fuzz, this is where you can find some retro, garage-type sounds. Cranking it up will lead you to thick and destructive high-gain fuzz.